When going on a new adventure through Reidsville, the new Jeep Wrangler can give you peace of mind on- or off-road. The Wrangler has an upgraded, tougher build and is engineered with new integrated technology while maintaining power and its legendary off-roading capabilities thanks to its utility features. See some of the new vehicle specials we have on the Wrangler and other models to find the right vehicle within your budget. 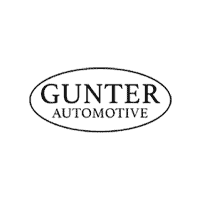 Visit Gunter CDJR Martinsville for the Jeep Wrangler! Contact us at Gunter CDJR Martinsville today to schedule a test drive in the new Jeep Wrangler or its many trims like the Jeep Wrangler JK. Not sure which to try? Our comparison between the Wrangler and Wrangler JK, or between the Wrangler and the Toyota RAV4, can help you decide which is best for you and your driving needs. We have the information you need to know the 2018 Wrangler.